Yes, You Can Take a Caribbean Beach Vacation Without a Passport! 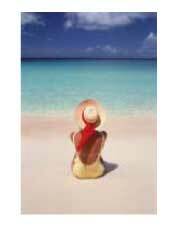 If you've dreamed of a Caribbean beach vacation but don't have a passport - not to worry!! Puerto Rico and the U.S. Virgin Islands are U.S. territories and do not require a passport - but they have great beaches and resorts. The U.S. government now requires U.S. citizens to carry a passport to visit most islands in the Caribbean (as well as Mexico). But, fortunately, we have some great beaches under U.S. jurisdiction, so if you do not have a passport, and don't want to get one, you can still enjoy a Caribbean beach vacation! Puerto Rico is the closest Caribbean island you can travel to without a passport. And it's probably the one you think of first when you think of U.S. territories in the Caribbean. Puerto Rico is a great place for a Caribbean beach vacation - it has wonderful beaches with snorkeling, surfing and scuba diving, and it has a rich historical and cultural tradition in the capital of San Juan. You might want to start your vacation exploring the nightlife and shopping in San Juan, but if you're looking for the beach, there are many options outside of the city. The western coast, in Porta del Sol, is not overrun by tourists (it's too far from the airport in San Juan), but it's a great spot for water sports (and sunsets!). Surfing and scuba diving are readily available here, as well as whale watching in the winter. This area also has some charming country inns. Vieques, a smaller island off the coast of P.R., is much more quiet than the tourist areas of the larger island and has a more traditional Caribbean (rather than Spanish) feel. Mosquito Bay, near the fishing village of Esperanza, is home to organisms that live just beneath the surface of the water and actually light up at night! The effect is magical! (Avoid going at the full moon - the moon's light washes out the effect). The three islands that make up the U.S. Virgin Islands - St. Croix, St. Thomas, and St. John - each have their own personality and collectively offer just about anything you would want in a Caribbean beach vacation. There is no need to get a passport to visit the other islands! St. Thomas has the capital city of Charlotte Amalie, with great shopping (local arts and crafts and designer goods) and history. It also has some great diving spots off the coast, with a few underwater shipwrecks you can explore. St. Croix is the largest of the three islands and has some lovely plantation homes to explore. But the highlight of the island is the snorkeling! Buck Island National Reef Monument has an underwater snorkeling trail that offers some of the most fantastic sights under the sea. If you're a bit more adventurous, Salt River Bay has thousand-foot canyons for scuba diving. St. John's is the most pristine of the islands; the natural hiking trails allow you to explore the Virgin Islands National Park, which takes up most of the land space on the island. Trunk Bay also has an underwater snorkeling trail with signs pointing out the coral, fish, and plants along the way. St. John is sparsely populated, but offers charming boutique hotels and some great open-air restaurants.